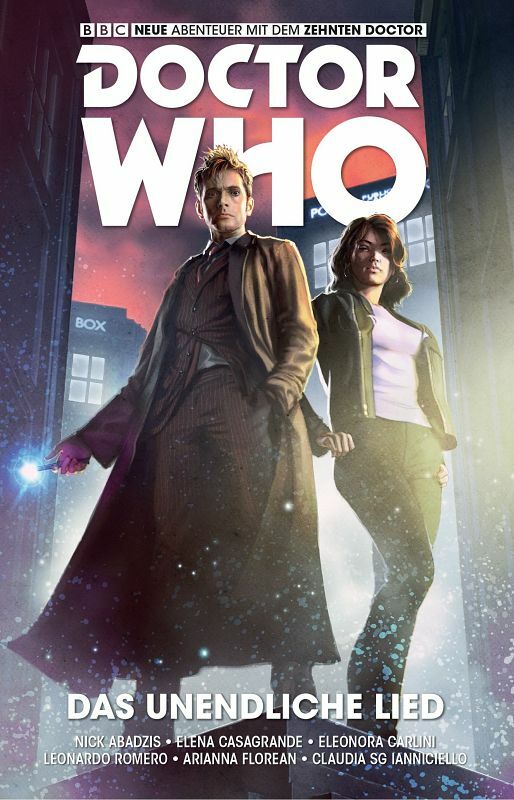 The Tenth Doctor and his companion Gabriella Gonzalez set off on a bold new journey! 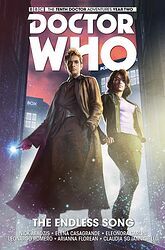 Whether facing an evil corruption of sentient music on a gas giant, journeying back to the dawn of humankin [sic], or battling disc-like gladiatorial captors in a millennia-old free-for-all, there are no limits to the cosmic adventure — or the mortal danger! Strap in as the Doctor tries to untangle himself from an intergalactic conspiracy, bumping into old friends on the way! 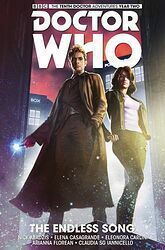 Nick Abadzis (Laika) and fantastic artists Elena Casagrande (The X Files, Suicide Risk) and Eleonora Carlini (Grimm Tales of Terror) chart the thrilling next chapter in the Doctor's ongoing story...! Collects Doctor Who: The Tenth Doctor Year Two #1-5.